For when late night hunger strikes. 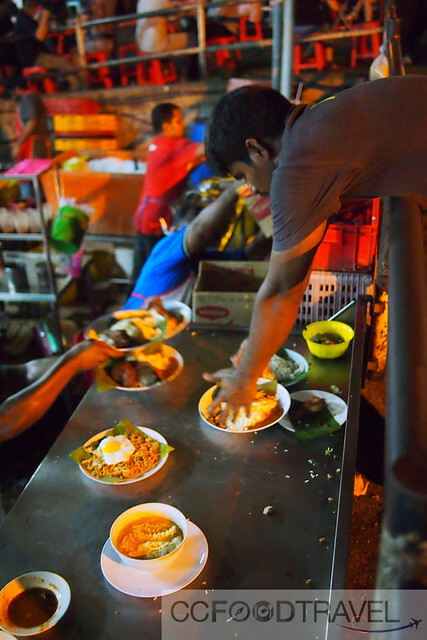 This legendary nasi lemak is located in Seapark, right a longside Maybank and you really can’t miss the crowd. 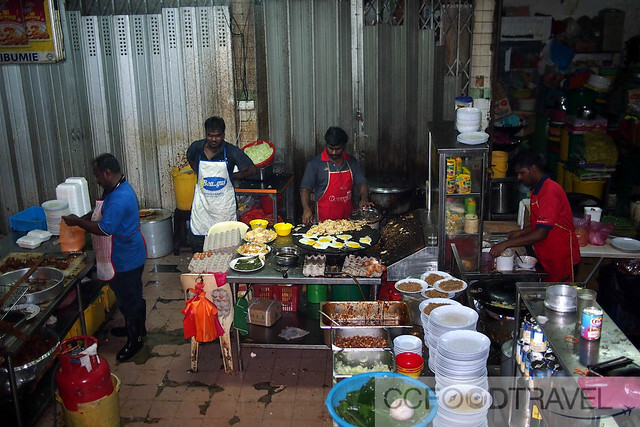 They also have a novel way of serving the nasi lemak from a sunken kitchen, and the waiters need to constantly reach down for orders of drinks and nasi lemak of its customers. Wow, if I worked here for a day I am sure I’d suffer a major backache! 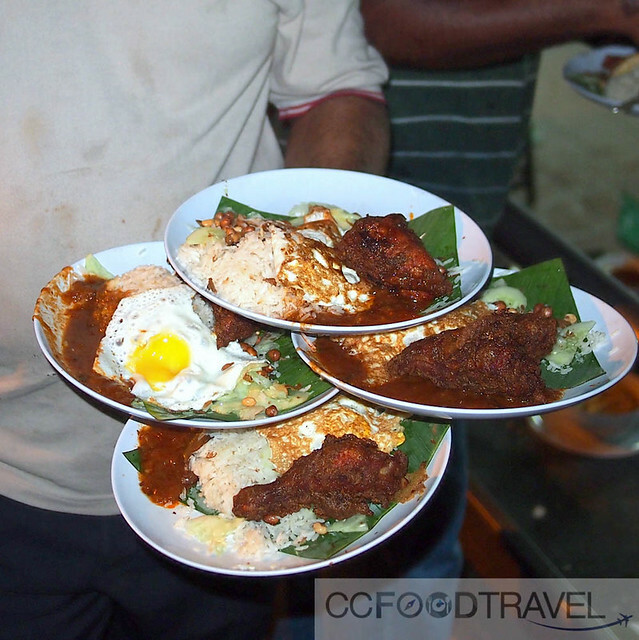 Anyway, the nasi lemak here, while not the hugest of servings, is only priced at RM5, and it is good! 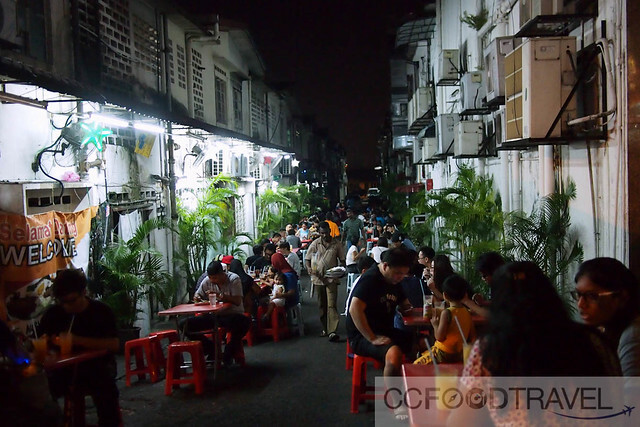 The chicken is fabulously crispy with succulent meat that’s heaving with turmeric seasoning. The portion of rice is just nice for me, some might say it’s a little small, but it’s insanely fragrant with coconut milk. The egg, is best sunny side up, so you can let the yolk run all over the steaming coconut rice. Crispy anchovies and peanuts are explosive nuggets of flavour and texture as you shovel the rice into your mouth. 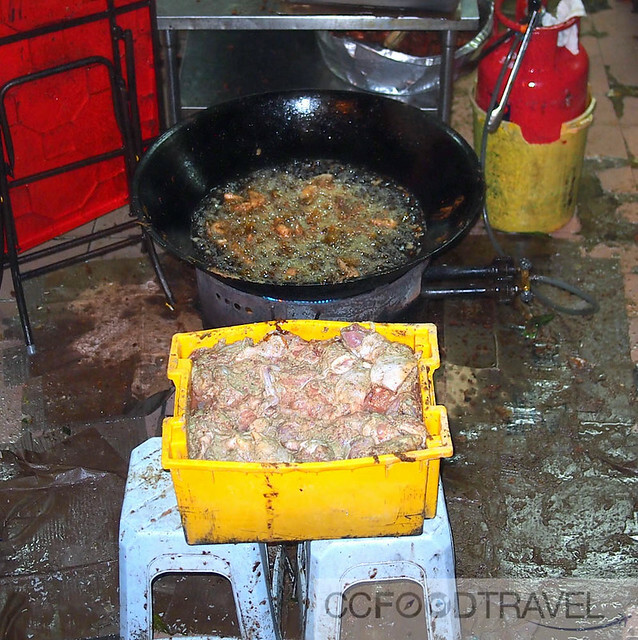 chicken being fried by the buckets..
All in all, our favourite place for cheap, late night nasi lemak in Petaling Jaya! Gosh! The guy is sweating plus plus!!! 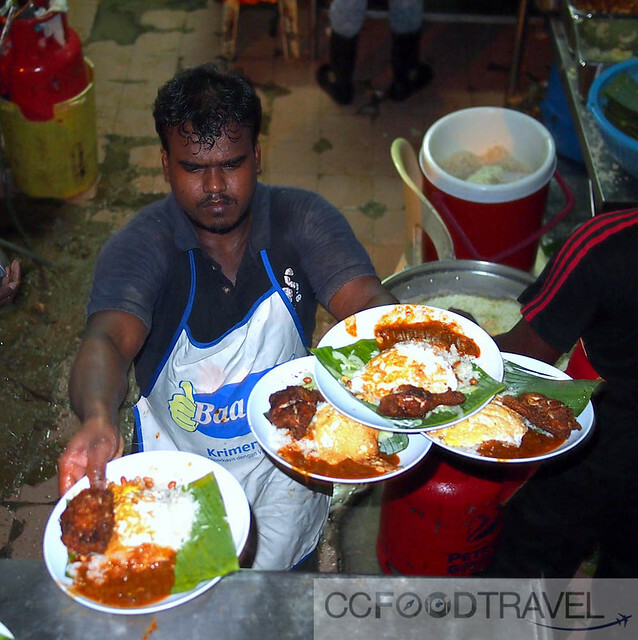 Not fond of people stacking up the plates like that – dunno how clean the bottom is…and watch that thumb! 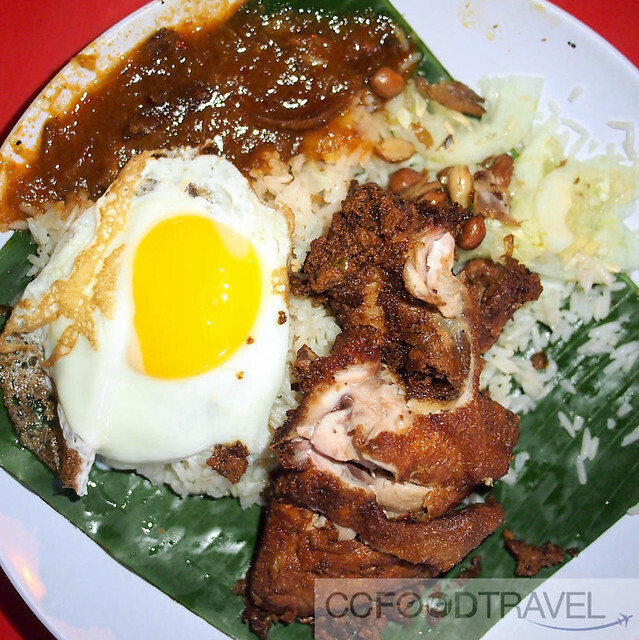 I never try this legendary nasi lemak, nasi lemak supper can really kill my diet plan!